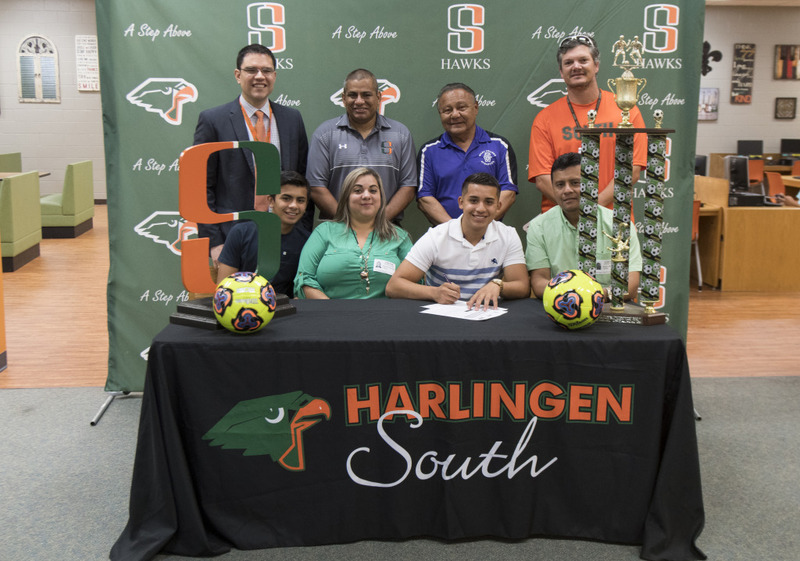 Harlingen High School South athlete Aaron Sanchez signed his letter of intent to play soccer for Wiley College. Students, coaches, community members, college representatives and administrators shared in on the excitement during the official ceremony on May 8 at the HHSS Library. Wiley College is a NAIA school located in Marshall, Texas and competes in the Red River Athletic Conference.